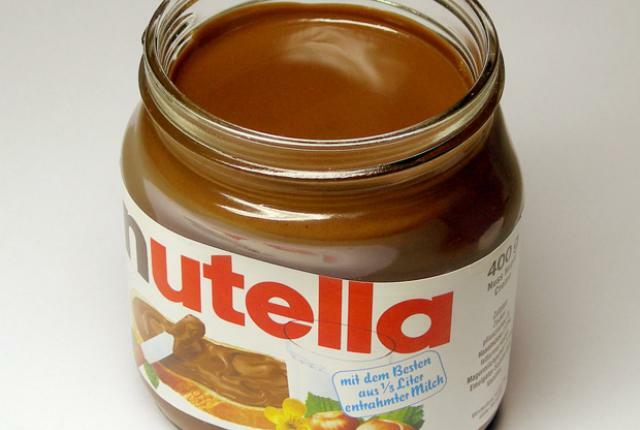 Nutella, a chocolate & hazelnut spread, outsells ALL brands of peanut butter worldwide. Hazelnuts were originally used as an inexpensive filler. sales increased and soon became it’s trademark flavor. In the aftermath of World War 2 Italian stores offered a service called “smearing”, which allowed local children to bring in a slice of bread on which they could have some Nutella spread. In Europe the Nutella jar is usually made of glass, whereas in North America it is made of plastic. 1967 Tom Smothers fell into a vat of chocolate today. (The Smothers Brothers Comedy Hour premiered).